• Model is 176cm tall and wears an 2/S size. • Exclusive RESET PRIORITY prints. • UV protective, working as a filter against sunrays ensuring UPF 50+ UV protection factor. • Resistant to suntan creams & oils. • High waist bottom with details of mesh and crochet. • Full cut bottom with details of crochet on the waist. • Brazilian cut with crochet details. • Lateral details of crochet. • Full cup bandeau bikini top. • Central wire detail in tortoiseshell resin. • Back closure in a bow and central removable strap to tie behind the neck. • Italian recycled and eco-friendly fabrics made of a ECONYL™ 100% regenerated nylon and Xtra Life Lycra®. 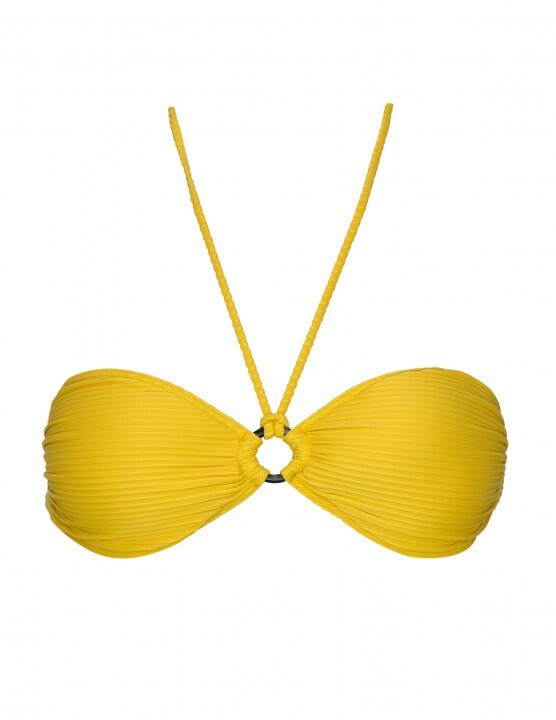 • Full wired and padded bikini top. • Removable straps with details of crochet. • Back closure in a bow for a perfect adjustment. 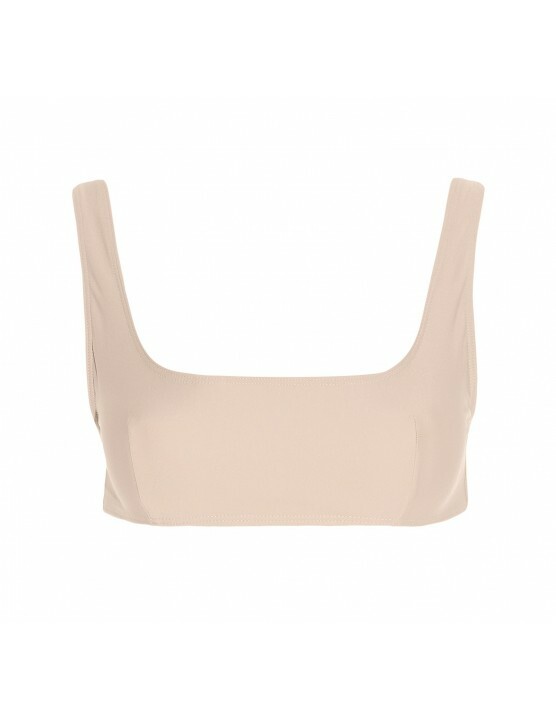 • Cups fits cup B and C.
• High support and sustain.